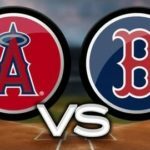 This game will be the start of a three game series between the Los Angeles Angels of Anaheim and the Boston Red Sox, which is going to be played at Fenway Park. At the time of writing, the first game of the series has not been played yet, so we will look at their stats from the end of their previous series. The Angels are coming from a successful three game series against the New York Yankees, which they started by winning the first game with a fairly comfortable 8 – 3 result. In the second game, they were unable to maintain the lead, and the Yankees won 8 – 4. In the third and final game, the Angels got away with a 10 – 5 win, ending the series two games to one for them. The Red Sox, on the other hand, are coming from a three game series against the Kansas City Royals, which they started by losing the first game 4 – 2, but in the second game they bounced back and got an 8 – 3 win. In the decisive game, the Royals were able to beat them to get the series, with a 6 – 4 result. These two teams are having very different seasons, with the Red Sox hanging close to the top of the table, while the Angels have gone up and down the table, but always very far away from first place. The Red Sox have won forty and lost thirty two of their seventy two games in 2017, for a winning percentage of .556 that has them as the first placed team in the eastern division of the American League, tied with their bitter rivals, the New York Yankees, and also two and a half games ahead of the Tampa Bay Rays in second place. They receive the Angels with a home record that has been really good, having won twenty one and lost eleven of the thirty two games they have played at Fenway Park, for a .656 winning percentage when in front of their home fans. The Angels, on their part, are having a more modest season, having won thirty eight and lost thirty eight, for a .500 winning percentage that has as the third placed team in the western division of the American League, thirteen games behind the Houston Astros in first place, but only a half game behind the Texas Rangers in second place. They have to visit the Red Sox on the road, where they have showed their weakest performances, winning seventeen of the thirty nine games they have played away from Angel Stadium, for a .436 winning percentage when away from their fans. These two teams come from similar forms in their last games, with the Angels winning their last encounter, but being able to win five of their last ten. The Red Sox, on the other hand, lost their last game, but have done slightly better, having won six of their last ten. J. C. Ramírez will be the starting pitcher for the Angels in this game, and it will be his fourteenth start of 2017. In his previous games, he has gotten six wins, five losses and two games undecided. Ramírez has pitched 80.1 innings, allowing 85 hits, 42 runs and 13 home runs, while also striking out 67 players for an earned run average of 4.59. The Red Sox will have David Price on the mound and he will be making his sixth start of 2017. In his previous games, he won two games, lost one and left the remaining two games undecided. He has pitched 28 innings, allowing 25 hits, 16 runs and 7 home runs, for an ERA of 5.14 and striking out 24 players. We think the Angels will get this second win. The total is being set at 10, so you should go for the over.